What Is The Role Of The MDT Coordinator? Both sides will often quote the “well-managed” needs principle to suit their cause: CCGs use it to reject claims for NHS Continuing Healthcare funding; whereas families quote it to support their claim for free funding for their relative’s care home fees. So how can both parties be at odds on this issue and who is right? The issue of well-managed needs tends to raise its head when undergoing a Multi-Disciplinary Team Meeting. The CCG assessors may seek to underplay the individual’s health needs by suggesting that they are “well-managed” – arguably a commonly used metaphor for basically saying that the individual simply won’t qualify for NHS Continuing Healthcare Funding. Don’t be put off disheartened by these comments as the National Framework states that “well-managed needs are still needs” regardless (see below), and should still be taken into account as part as the overall decision–making process. However, with all the controversy surrounding the subjective interpretation over the phrase “well-managed needs”, grasping the concept is not quite as simple as it seems at first blush. Of course, your interpretation can largely depend on which side of the fence you are coming from. 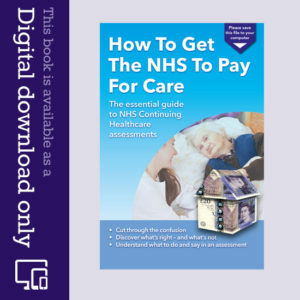 The 2012 National Framework for NHS Continuing Healthcare and NHS-funded Nursing Care deals with the well-managed needs principle on page 61 under Practice Guidance Note 11. Take a look at paragraph 11.1 which states, “This Framework provides that the decision-making rationale should not marginalise a need just because it is successfully managed: well-managed needs are still needs”. Ie don’t exclude or ignore the need as part of the assessment process just because it is being well-managed. This is good news! What this means in practical terms for you, is that just because the need is well-managed does not necessarily entitle the CCG to play their ‘get-out card’ to decline NHS Continuing Healthcare funding. The NHS National Framework also refers to the Decision Support Tool for NHS Continuing Healthcare Amended (Revised 2016) and paragraphs 28 and 29 deal with how this (well-managed needs) principle is applied. The salient paragraphs have been copied below for your convenience. “28.Needs should not be marginalised because they are successfully managed. Well-managed needs are still needs. Only where the successful management of a healthcare need has permanently reduced or removed an ongoing need will this have a bearing on NHS continuing healthcare eligibility. However, there are different ways of reflecting this principle when completing the DST. For example, where psychological or similar interventions are successfully addressing behavioural issues, consideration should be given as to the present-day need if that support were withdrawn or no longer available and this should be reflected in the Behaviour domain. Critical – and you need to understand this – just because the individual is receiving care and their health needs are being better managed, it does not mean that the underlying need has actually gone away. It is simply just that – ie they are being better managed. The National Framework seems to suggest (although it could perhaps give a clearer example) that only if the needs are reduced or disappear entirely as a result of care intervention can the CCG argue that they have been better managed. The fact the health needs still exist but are better taken care of – has not eradicated the need. It still subsists but is better managed by the care in place. Take the example provided at Practice Guidance Note paragraph 11.2 of the National Framework where an individual’s challenging behavioural needs might be considerably improved and be better managed (if not eradicated entirely) by changing their environment eg moving them from a hospital setting (where they might feel disorientated or anxious), to a more relaxed environment at a care home or even their own house. That would be an example of a well-managed need. But, suppose as an alternative example that same individual has hallucinations, displays physical and verbal aggression, is a danger to themselves and others around them, is disorientated and wanders around outside at night time, exhibits inappropriate behaviours (eg smears faeces on themselves and the walls), and generally exhibits other the challenging behaviours – if those behaviours continue to persist in the care home environment, but are better controlled eg by anti-psychotic or other medication, the needs are still there and haven’t gone away; and so whilst they may be well-managed, you cannot ignore the underlying challenging behavioural need which still subsists. We often hear families saying that their relatives must be eligible for NHS Continuing Healthcare funding because if you take away the 24 hour care package in place, remove medication and other essential needs and don’t feed the individual, they wouldn’t survive. Yes, that is true, but it equally applies to the majority of people in a care home or nursing environment as well. The point is when quoting the “well-managed” needs principle, you cannot ignore basic routine nursing needs either. The individual should still be assessed as if their routine care is still in place, using that as a base-line. It is the management of their underlying health needs over and above the routine that you need to look at and how they are being managed. That is the key. Otherwise, everyone in a care home or nursing environment would invariably be eligible for free NHS Continuing Healthcare funding, and that is not how it works. Furthermore, well-managed needs still have to be considered in conjunction with the four key indicators, namely, nature, complexity, unpredictability and intensity of the health needs. Families will argue that just because the CCG say their relative’s needs are well-managed – they are still needs – and so it does not excuse the CCG from paying for their relative’s care home fees as they are still needs. Conversely, the CCG will argue that as the needs are well-managed, there is no entitlement to free NHS Continuing Healthcare funding (CHC). Look at your relative’s underlying health needs first. Take away routine base-line care required to manage those needs. Have the underlying needs been reduced or removed entirely by the nursing intervention or is it just a case that they are better controlled? Even if the underlying needs still subsist regardless, then even though they may well be better -managed, they are still needs – so stand your ground! Let us know if the CCG have used the “well-managed” needs argument against you, and if so, what you has been your response – and has it changed their mind? I must commend the website which is excellent. know of such risk or legal matters involved. And most do not. Solicitors can often mislead you and good ones hard to find. correct prodeure is my experience, even when challenged. They ignore you. you have to do prior yourself for that route. (2) complete the DST yourself. shall be defined legally, there is no prescriptive formula. days or work to it. No, it nearly always is. evaluate the file evidence is robust to challenge the No. Sometimes the file and legal notice gets a result without court. The practioners, especially the LA and CCG have their own agenda to follow. government guidelines timescale of 28 days. rules and regulations were followed either. incomplete, I believe, so the “No” recommendation would be recorded. the sparse evidence. That is what happened to us. The individuals needs are…..secondary…… to that. what you shall nearly always come up against. Not a must do in all cases. the documents despite citing national framework clause 33.1b. issued Meeting Minutes which he ignored. Very misleading. without me without proper written notice or resolving matters raised. etc. resolving all our queries. The Nuremburg defence. that informs of how procedure is wrongly executed in my area. that is very important matter to adhere to. the strategy the LA & CCG employ as a common working practice. more difficult to deal with, so in my view, you have to gather it yourself. “No” decision can be awarded and the case closed. again to bamboozle and cause more delay. ie. Wear me down. because that is better obfuscation. Great site, keep up the great work. Thank you for this excellent and informative reply, I just have one thing I am not sure of, how can someone bring a Judicial Review until they have completed the whole CHC appeal process. Completed it all the way through to the Ombudsman. The judge would insist this was done before court proceedings, this process could take 2 years according to our solicitor, then you are out of time for the JR which has a time limit of 3 months? Jr period begins from the end of the process. Thanks for your reply, our issue involves 85 dementia sufferers so you can imagine we are concentrating, if only this were the case. We have been told by JR lawyers that the JR period begins when the decision you are challenging is “initially made” from that very day. Rita, the JR decision asked for should in such circumstances, be in relation to the very last refusal to fund. The earlier misbehaviours leading to the last appeal (usually ombudsman) would be part of that argument at JR. i.e. No MDT was formed (single assessor), Only a MDT can complete a DST and make a recommendation etc. If that is ignored at IRP and then Ombudsman then that very early argument made at local appeal, is valid because the Ombudsman has not ruled within the law. It is that failure that is Judged at JR.
As others have already mentioned the courts will not consider JR on strict CHC matters until all appeals have ben undertaken. There has been cases thrown out before they even began because there is an ‘appeal process’. Of course if some extraneous law was broken that could not be appealed within the CHC process then that could be J.R’ed. That is why appeals are sooooo long and cumbersome. They want you to go away and not even contemplate JR or higher court actions. Hi. Rita, no reply button on your other 5 Nov 18 post, so replying here. Did you say you have a previous CCG written policy document determining that the 85 individuals “level of need” that shows their condition is high enough, that it would be “wrong & dangerous” to move them? Surely the individuals “level of need” is not going to reduce, but in all likelihood remain stable or increase compared to the already previous high level of need in writing from CCG stating that it is dangerous to move them? Cite Coughlan case in any letters. The Ombudsman and CHC appeals process (previous to Ombudsman) are what is known as ADR. Alternative Dispute Resolution, the intent of government procedure to mitigate very “expensive” vexatious court proceedings for every CHC decision. This is very costly for both Plaintiff & Defendant in both financial cost & also interestingly, to government legal liability, setting new precedents that could open the door. Main reasons why they exist. From a government chancellor of exchequrer perspective much better to trust decision to a Nurse Assessors of CCG CHC with lack of training, bamboozle vulnerable people and not pay out. The Ombudsman, although the final part of the ADR that the courts do indeed treat seriously, the Ombudsmen in effect, has no legal authority to enforce their decision. Big delay there. Only the court has that, to enforce a court decision to a timetable. So yes the court, would like to see the “process” followed (exhausting possible prior resolutions) before a Judicial Review but if the process itself is being (1) unreasonably delayed or (2) unreasonably administered by not adhering to the standing rules & regulations, then that is wrong-doing causing harm & damage. These are legal matters in themselves before the end of a frustrated unreasonably delayed appeals process because the process (including appeal) decision is being unreasonably delayed & frustrated. You are in a position where the process is so unreasonably delayed and being undertaken with wrong motivations (financial gatekeeping) and not following procedure correctly these are legal breaches and unreasonableness. The NF states financial gatekeeping motivated decisions are wrong-doing as well. (I would expect two months to be reasonable from intial assessment to end of IRP appeal) A “negligence action” has 3 main principles, 1. owed a duty of care (different meaning just means to everyone), 2. breach of that duty, 3. has there been damage from that breach. This is common law. On a point of law (not the whole case) you also have rights to a “Summary Judgement” case, Judicial Review, for wrong doing actions and/or unreasonable long delay. The opposition shall take legal concerns with the deadlines alot more seriously than CHC appeals process or Ombudsmen decisions who take their own time doing it without any repercussions to the practioners because they don’t have proper accountability. If you have that previous CCG policy document in writing specifying the CCG stated it would be wrong & dangerous to move them, it appears you have case for a JR straight away. Wording on that document very important for validity of your case though. If nothing else, your strategy should be to delay & frustrate the process by making counterclaims (must be evidence based) as much as possible just like they do to you. This way the decision to move cannot be easily done without further consideration which should delay any decision to move. Court action is not required for that in all instances. You can make counterclaims of evidence and wrongdoing yourself. Written records & evidence in cases must be meticulous and filed really well to keep control of an onerous case, so very important, you must get the evidence file organised, and keep updated contemporaneously. The NF is available on line and has precis of these cases in Appendices for quick research. That’s what the DST is suppose to do, be compliant with case law. “Continuity” is very important to frail, vulnerable individuals and this should be a major issue for your case. Health bodies have done plenty of research/reports on the importance of maintaining continuity in Care giving. Search online shall give you the research for evidence of this. Think even Royal College of Nursing have completed evidence reports? A legal action can be brought for matters of wrong-doing, breach of regulations or duty of care, at anytime of their occurrence. Granted, you require great contemporaneous written records to prove after demonstrating you have reasonably attempted to engage with the NF process within a reasonable timescale, and attempted to resolve locally, before instigating a legal proceeding on a point of law. To be determined on a case-by-case basis. So if wrong-doing occurs before the “end of the process” you can still potentially bring an action on a point of law under Summary Judgement. It maybe a strategy to apply pressure, to achieve a correct determination of level of need by the CCG. A deliberate attempt to delay, frustrate and obfuscate the Standing Rules and Regulations and possibly negligence (breach of a duty of care) in public office, if proven would be estoppel of your rights and negligent maladministration of procedure. Granted very onerous to prove requiring your own meticulous contemporaneous records, but possible. An unreasonable delay and it’s causes are still an unreasonable delay with causes, that can be judged to be illegal regardless of any potential final CHC level of need decision that could be many years away because the CCG are causing an unreasonable delay and/or conducting wrong procedure. But yes, onus on you to prove it. Always remember you have rights, they won’t happen on their own unfortunately, you have to fight for them. A hard slog most people are not able to do or spend time on. The CCG are fully aware of this. That’s why a LRP or IRP appeal process is pointless if the correct “relevant evidence” is not recorded in the case file. The appeal shall only consider the DST file evidence. You have to put it there because the CCG game plan is to omit to do so and downgrade the real actual level of need, as well as wear you down by complex bamboozle to keep you in the dark. They make plausible savings easily that way. Thank you again, I understand. These 2 homes are enhanced dementia care, commissioned by CCG, historically CHC reviews have not been done at these homes. This was because it was accepted by our CCG that residents were so very badly affected, had failed at so many other homes and had experienced a torturous journey through their care system! That when they became frail and their needs changed it would be wrong to move them at this stage and it would be dangerous. We have policy documents to prove this, but 2 years ago CCG clearly had a change of mind, they deny any knowledge of their policy and sent nurse assessors to the homes in force with the clear intention of removing funding by any means and freeing up beds. The assessments were conducted wrongly and illegal decisions made, we have appealed every one and lost most of course at local level. A few are just reaching the point of the ombudsman. Surely, we think, this is where it ends? But now we find out that it has been agreed at high level that the ombudsman will pass the case to NHS England for a CHC nurse to decide! “System Capture” it’s called apparently. At least only 4 have been forced out of their home and that was because they did as they were told or had no family, and as they lack capacity we were not able to represent them – heartbreaking truth. The National Framework has a “target”assessment period of 28 days for a DST Decision Support Tool recommendation to panel decision. Panel makes the Final Decision based on a desktop study of the DST file. Timescales are only government guidelines not the law. The Law is “reasonable” time which maybe the “guidelines” and maybe not. It is legally what’s reasonable. In our case the DST was not completed for 9 months. We have had a break from it for 3 mths, but have excellent provable contemporaneous records to go back to. A serious delay from our notice. The Local Authority & CCG wished to close our case as it was becoming an embarrassment to them on paper I think, that it had not been concluded in the 28 day National Framework target timescale. The CCG Nurse Assessor or the LA did not even understand the separate role of the National Framework “Coordinator”, a crucial, vital role to a family to navigate the very confusing system of MDTs and numerous uncoordinated parties and assess the legal “level of need” correctly. (1) Did not gather all the relevant evidence, the crucial primary parts. Only gathered incidental evidence, and chose to ignore & omitt the rest (primary health condition evidence). (2) Did not answer or resolve any of our concerns regarding relevant evidence that was being deliberately disregarded by omission and so forced a DST meeting without my agreement or of my advocate. The Decision Support Tool is just that only a “tool” to gather all the relevant evidence in a “UK coherent” fashion from the relevant specialists. No “primary” relevant specialist assessments for presented medical condition were gathered in our case. General Nurses cannot do Specialists work that is relevant. The evidence is not just “historical” either, also current SPECIALIST evidence assessments by Specialist Clinicians should be gathered if RELEVANT, a nurse is not a Specialist. The prime “decision makers” signing off our DST document ignored all our reasonable legitimate written concerns & also not agreeing our attendance, were both young inexperienced NON specialists without considering the Specialist Clinical Evidence because it was not gathered despite our raising detailed concerns in writing. False statements have been recorded on the DST document as well. No Coordinator was properly appointed, met, updated or resolved any concerns raised in writing and also withheld from us the FILE evidence they had gathered, (incomplete of everything that is relevant as well). The only file being considered for the DST meeting Recommedation decision to the Final Panel review board. When the (1) National Framework DST procedure is not followed and (2) also the relevant specialist clinical evidence is not gathered, these are two possible reasons for a “Summary Judgement” claim by way of estoppel. Note, the National Framework Standing Rules & Regulations are only government “guidelines” and not the law. The Law on “level of need” is not prescriptive and is actually subject to determination from case law (precedent) for example Coughlan, Pointon, Grogan etc etc. Incidental, Ancillary, of a Social Services expected to provide Nature, Quality & Quantity, in Totality, etc, etc, etc, the legal comparison tests. The L.A. are suppose to give you a “rationale” of the LA determination of level of need. They never do, they hand you a document that states you are eligible for Social Services under the Care Act which is means tested self funded. Confusing, did me anyway. Clause 22 of the Care Act is the LA Social Services exception for CHC NHS funded care the LA cannot provide. Rationale required for this. You should request one in writing. In law omissions as well as acts are wrong doing. To establish the “Level of Need” legally the LA together with the CCG are suppose to work together, as they have equal responsibility in the DST when making that Recommendation Decision to the Final Review Panel whose duty is to ensure the evidence & documents in the case file agree the level of need recommendation is correct when considering and comparing it to Case Law. So, if the file evidence is incomplete, then the level of need can be downgraded for a negative decision by final panel, regardless of the level of need in the real world. Final Panel only look at the file records not the individual so the DST is manipulated. Because of funding problems that’s the gameplay. “Summary Judgement” proceedings on a single point of law, not the whole case, in my view can be made for not following the National Framework regulations regardless of the recommendation, if you can prove procedure was not followed correctly. For instance not gathering relevant evidence or not procuring Specialist Assessments that are relevant. You need very, very, good contemporaneous records and also understanding of procedure for this though. Be careful it is not easy. The National Framework does have an internal review procedure. LRP Local Review Panel then onto IRP Independant Review Panel after that. In our case I would be dealing with the same personnel mainly for the LRP who are suppose to refer onto the IRP (different area bodies) to resolve. Our area CCG has tried to distract us by an unsolicited referral to “NHS Complaints” without informing us of the LRP/IRP procedure at all together with the DST/Final Panel document. Another failing and attempt at obfuscation by the CCG. Don’t go down the Complaints rabbit hole, it is just an obfuscation tactic to make you surrender and give up, especially when you did not complain as in our case. Yes, a Judge would wish to see the L.A. and CCG procedure has been attempted to be exhausted first and your attempt at exhausting those routes should be “reasonably” attempted. The judge in a Summary Judgement hearing on a point of law, say, not following the Standing Rules & Regulations and also causing unnecessary delay would also be interested in not following prodeure as a charge. In my opinion, because of loss of public service faith, families really need to gather as much evidence, especially the primary Specialist Clinical Evidence themselves. The CCG do not want that in the file because it is strong evidence for high level of need. Always remember the DST is only a tool and not the decision itself. The correct relevant “Specialist” Clinical Assessments should be carried out and all the relevant DST meeting attendees should be involved in the meeting. As the National Framework says even by teleconference if available. NF also says the family to be placed at the “centre of the process”. In our case they rode rough-shod over all our reasonable timely relevant written concerns regarding not following correct procedure and not gathering the relevant evidence. The CCG even refused to disclose what they had in their records file under NF clause 33.1b just by arguing they are not allowed to disclose private information because of “third party agreements”. Ridiculous, you have total authority to see all the documents under 33.1b. Yes, Judicial Review is not for the uniniated, you need to have demonstrated you have tried to resolve the National Framework procedure, including LRP and IRP probably. But if there is an unreasonable delay, then that in itself is a legal matter for not following prodeure for a Summary Judgement case. You need very good contemporaneous records as evidence to prove this. Good knowledgeable Solicitors are very difficult to find and as charges are not fixed sum but time related fees it can be a costly minefield if you are not yourself very knowledgeable. Regardless of the above think all cases for CHC are eligible for review I think, after 3 months regardless, as circumstances and condition can change….? See NF regulations for this. Thank you for answering we need all the help we can get our CCG are kicking us around like a football. Your “complaints rabbit hole” rang an uncomfortable bell! We have experienced 85 families put through hell in these DSTs and our voluntary charity literally running flat out trying to support them through this horse dealing. All our residents have severe dementia and have been challenging, some still are – or are now frail with complex health issues. We all know that no one recovers from dementia, it just changes in need, yet our CCG seems to believe as soon as someone is unable to walk they no longer qualify for funding – and worse than that, in our case they have to be evicted from what has been their home for years! Because it cost more. We have seen DSTs conducted without family members being informed or present, we have seen DST scores being changed weeks after the DST by the CHC nurse revisiting the patient alone, we have heard that cost of care has been brought up during reviews. In 4 cases the poor resident has passed away having been put through a DST review only weeks before and lost funding! How ill do you have to be I ask you? I take all your points on board and will try to digest them but this is exhausting and I am sorry to say the CCG are picking on the most vulnerable people, whom they know cannot fight back. The patient has no voice and the relatives are generally old and very frightened. Our CHC should hang their heads in shame – I hope their cost cutting sticks in their throats! It is a sad fact that CCGs have been formed from the 2012? Health & Social Care Act by Andrew Lansley then in charge. Was the SHAs Strategic Health Authorities then the PCTs Primary Care Trusts now CCGs. Top down market reorganisation by Thatcher, Blair & Brown most recently the Tory Libdem coalition. This is about introducing the “market” into what was once (upto 1979) a single source, economies of scale, coordinated NHS system where practioners/employees had permanent positions and employment security so that practioners/employees knew everybody else and could be coordinated. Less costly per head and better performing in a coordinated way in those single source old NHS circumstances. Unfortunately the introduced “market” ideology fragments the old NHS single body we used to know into many transient, uncoordinated bits, and hardly hard working at the coal face practioners have permanent positions, and the real world cost per head of the service goes up and efficiency is lost in a fragmented system. New fragmented providing bodies are now working in the system “hustling” out of self interest for tenders and greater market share to maximise profit. Public Service is secondary to that. The government ideology is to increase “privitisation” of elderly care no matter the “level of need”. This started with Thatcher closing “permanent residential hospital wards for the permanently sick elderly” after assuming power in 1979 under the advertising spin of “care in the community” by giving big tax breaks for construction of old people’s homes by private owners 1980s and 1990s the boom years. Still collecting the tax from people who became the old and sick though. Look up Luke Clemens videos on YouTube very informative. He also interestingly lectures to LAs & the NHS. So the gameplay is to pass the burden of care from the state onto the individual regardless of “level of need” without changing the current rights in law. Changing those laws would be political dynamite. Thus, the LA has become the first contact for “presenting needs” at Needs Assessments (Care Act). My experience is they assess everyone as Social Care regardless of level of need as they have power of discretion to do so. If someone finds out about the CHC rights then the CCG has the National Framework & DST to perform and bamboozle people because again they also have the power of discretion making a decision. They have limited Westminster funding & so the reality is as gatekeepers the LA and CCG ration the money provided to people in need regardless of the level to make savings. This is an unspoken truth. Forced on them by government ideology to remove the state responsibility for care onto a self funded privitised system by stealth. Changing the CHC law would be political suicidal dynamite. Thus gameplay is to introduce a bamboozle of L.A. & CCG assessments for eligibility raising the bar and administration so onerous no one can deal with it. Even practioners I have met do not understand fully their own system, though some do, and are, let’s say economical with the truth. Your rights are still in the law. It is just Norman Lambs National Framework & DST and Andrew Lansleys CCGs treacle you have to wade through. The most important thing you must do for a CHC claim, is gather all the evidence in writing and maintain meticulous file records. Very onerous. If you see a need that is not being addressed or cared for arrange a Specialist Clinician with appropiate credentials & experience to give you a written assessment report. Not easy to do yourself, that’s why the specific non-decision, administrator/organiser role of the Coordinator exists in the National Framework. In our case we did not have one appointed and the Nurse Assessor we had from the CCG was very obstructive and unhelpful. The NF is available on line so are many NF guidelines. Take some reading, but I’m afraid, in one of these cases if you are involved, you have to do it. Like a college course you have to learn and research. Key to the door is EVIDENCE so keep your own extremely detailed meticulous well filed records contemporaneously and request pertitenent actions of the NF Regulations and Standing Rules in writing. Remember if the level of need is primary then the NHS funds whatever is required to meet the need including accommodation. The decision making process is discretionary by the LA togerher with the CCG but is evidence based as well. Evidence by Specialists Clinical Assessments is the key. Also a comparison by DST Domains to the Coughlan case very useful, see on line. Interestingly her level of need would not quantify as high enougb under a DST. Do not give up, do not take no for an answer. Not easy I know and not everybody are capable or have the time to do so, especially at a vulnerable time of their lives. Also remember any unreasonable delay is a wrong-doing as it is a failure of the duty of care (negligence) to assess the need correctly, a breach of that duty causing harm/damage. But you need extremely good records and knowledge to demonstrate unreasonableness to enforce. A good idea & possible strategy. A good easy document for your Evidence Case File would be to make a comparison of each of your individuals case evidence/presenting needs, against the Coughlan evidence when using the DST-domains-format yourself and submit that to CCG, as formal document evidence for “level of need” substantiation. Primary Need is legally described as, not of a social services nature or that social services are expected to provide, incidental, ancillary, in quality and quantity, in Totality, etc, etc, legal tests from case law (precedent). Interestingly the Coughlan judgement was given before the National Framework was implemented, by the coalition government (Norman Lamb) because of this ground breaking case and the extraordinary deluge of Ombudsmans complaints & the post code lottery. Every area did their own uncoordinated even more confusing thing than now. Take note, if Coughlans case evidence underwent a DST assessment today, the domain-scores would be too low to qualify for CHC funding. But clearly, Pam Coughlans court ruling, would make that illegal. Her case domain evidence is available on-line, you can get your Coughlan Comparison done & filed with the CCG now and then attempt to further substantiate with your own procured specialist clinician assessment evidence as you argue the case over time. The level-of-need is established in-the-round in Totality and in both Quantity and Quantity tests. Even small needs considered with the other more serious needs, push the quantification of totality of needs up. So include “all” the needs not just the serious ones in the total assessment. For instance any relevant evidence from diaries regarding care or condition, especially behaviour and predictability and the family blank 12th domain for anything else you can come up with, often get overlooked. Your “Coughlan Comparison” done the-DST-way can form the framework and crux of your case argument around everything else revolves. As I say Coughlan would not get CHC funding if she undertook a DST assessment today. You shall only get a correct decision though, if you have all the relevant evidence recorded in writing in a meticulous case file. Very onerous on the family. You cannot rely on the LA or CCG to follow correct procedure. Look up Professor Luke Clemens on YouTube as well, good research material. It has been lawful for some time to instruct your own Barrister. One time I tried that route with someone advertising their CHC credentials and he did not appear to know as much as I did. So in such matters be very careful or it could prove stupidly expensive. But it does avoid the double costs in talking to a solicitor before action is taken. That potential cost is why in the past we used the council on a recharge basis and simply refused to pay them. Then it is a different matter. They chase for the money year in and year out with our repeated response being ‘puleeeese do it’ . We of course instruct them that as respondents we are entitled to ensure that the money is not in fact owed by the NHS and as such they will need to be present. Then of course the decision not to continue funding someone that was earlier funded could be compared against many legal precedents including their own precedents from when the were funded. This is unlikely to work if someone has to self fund the entire sum….. But maybe this will help those that are frustrated beyond caring what happens…… Even then the amounts risked are only those belonging to the patient (which should be held in case that happens), and supposedly owed to the council. But doing this does prevent the need to take them to the courts and the costs of instructing a barrister would be reclaimable if you were successful and chargeable to your loved one if not. If nothing else, it lowers the amount that the council can take from savings and the fight has been fought and perhaps has made some of the anger (even if lost) go away. In both family cases they have never acted via courts to collect the amounts allegedly owed. Very soon they will be out of time to take that action. Fingers crossed. shall be deemed a true and correct record much later. spent a couple of hours with them. decision to deny CHC funding and correct clinical help at home. Coughlan, Pointon cast law etc. way. Before that each council did it differently. specialist evidence to that file. properly, even tho suppose to do it properly in 28 days National Framework. Most people are bamboozled. I know I was at the start a year ago. I shall be fascinated to see how the NHS attempt to apply this to my relative’s retrospective case where, all too frequently during the relevant period, there was no attempt to manage the needs at all. Either the care wasn’t happening, or any documentation of it was inadequate. The Nature of the needs were Non Routine, not least because of their complexity between domains and their Intensity. There are plenty of documented examples of the consequences of non management of needs, and fortunately our own simultaneously recorded evidence, and so the opportunity for them to fall back on “If it’s not in the care home notes, it didn’t happen” should have limited effect. I hope so anyway! Given the successful Coughlan argument/conclusion….. That all care provision to someone incapable, is nursing care and that social services cannot really provide any required Registered Nursing care and that the cost of any registered nursing care should reflect the actual cost, then the same would apply to anyone not wishing to go private and to self fund. A baby is nursed by way of feeding at the very least by it’s parent because it cannot yet do it for itself. What is obvious here is the need for some years of continuity of care in this instance. If that continuity is withdrawn then the well met needs provided for, at even the most basic level to the baby, prove to be more than needs of so called daily living because the baby would die. The whole matter of well met needs might be to be looked at in conjunction with the fifth and almost hidden criterion of ‘continuity of care’ which I believe resides within the intensity criterion. Then what must be addressed is….. what is intensity?…. Five minutes being slowly shot at in a trench might seem intense…… five months at risk of being shot at whilst preparing to be shot at for five minutes in a trench could equally seen as intense. Continuity of necessary care over a long period is a display of intensity in meeting what many assessors wrongly view and then disregard as ‘needs of daily living’ that they ,when challenged, equally dismiss as well met even though there is almost always intensity by virtue of repeated long term provision of necessary care…. Beware the word ‘assist’. Doing something for some one might assist them but it is not to assist them to do it. So often used to imply that needs are easy to meet well because the patient helps themselves too, when in fact they are much more complex etc. Repeated and necessary continuity of care and therefore intense care provision, even if the needs appear ‘well met’ is still intensity in the provision of that care. Now repeat with variations, the thoughts above whilst using the other eligibility criteria. However, just for a laugh, also always ask what the assessors and decision makers have used to compare against the legal tests of a LAs remit to provide care. They will likely make no logical reply…… Most likely they will argue that they have compared needs against the CHC eligibility criteria, which have little or no basis in law at all. If the standing rules regulations etc. are read, these two tests relating to LAs are in fact the only law regarding eligibility. It follows EITHER that the NHS should not give CHC funding to ANYONE, or that the whole question of “well-managed” needs should be dropped, and instead judgments about who to fund should be made based on the relative severity/ extremity of their needs. 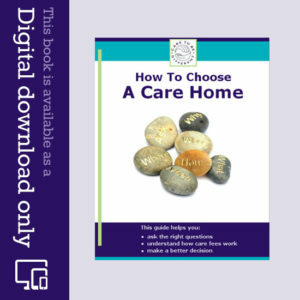 The local authority as well as the NHS has a duty to provide care to those who, as a result of illness or disability, require such care / accommodation, which can include an element of nursing care. The element of nursing care must be no more than incidental or ancillary to the provision of accommodation which the Local Authority (whose primary responsibility is to provide social services), could be expected to provide. The fact that an individual requires domiciliary specialist support, either in a residential, nursing or EMI unit, does not in itself reflect the need for quality or quantity of health care which qualifies a patient for CHC funding. A primary health need is not about the reason why someone requires care or support, nor is it based on diagnosis, but it is about the overall actual day-to-day care needs taken in their totality. “142. The decision-making rationale should not marginalise a need just because it is successfully managed: well-managed needs are still needs. Only where the successful management of a healthcare need has permanently reduced or removed an ongoing need, such that the active management of this need is reduced or no longer required, will this have a bearing on NHS Continuing Healthcare eligibility. 143. An example of the application of the well-managed needs principle might occur in the context of the behaviour domain where an individual’s support plan includes support/interventions to manage challenging behaviour, which is successful in that there are no recorded incidents which indicate a risk to themselves, others or property. In this situation, the individual may have needs that are well-managed and if so, these should be recorded and considered in the eligibility decision. 144. In applying the principle of well-managed need, consideration should be given to the fact that specialist care providers may not routinely produce detailed recording of the extent to which a need is managed. It may be necessary to ask the provider to complete a detailed diary over a suitable period to demonstrate the nature and frequency of the needs and interventions, and their effectiveness. 145. Care should be taken when applying this principle. Sometimes needs may appear to be exacerbated because the individual is currently in an inappropriate environment rather than because they require a particular type or level of support – if they move to a different environment and their needs reduce this does not necessarily mean that the need is now ‘well-managed’, the need may actually be reduced or no longer exist. Patient X displays challenging behaviour but this is now well managed within an EMI Unit. We need to consider that X will still at times be resistive to care interventions but not to a degree where this is recorded in care delivery records. The care strategies in place are of a nature which effectively reduces any risk to X or others around him in that he is no longer displaying behaviours to the same extent that he previously did. If the level of care which is currently provided were to be taken away, it is safe to assume that X’s behaviours potentially would increase and return to their previous state. Similarly, if he was not provided with medications covertly and was not concordant with this, he may relapse and behaviour increase. X was previously in a residential setting and did not therefore have access over a 24 hour period to the services of a Registered Nurse, specially trained in the care of individuals with mental health-based needs. The move to a facility providing this care has been incidental to stabilising his behaviour and reducing any risks of harm. It is important therefore to consider X’s needs prior to admission to Nursing Care and look at whether the level of behaviour was such that the nature of his needs at that point combined to create a primary health need. The level of resistance is evidenced to produce a need for placement in a facility registered for providing Dementia Nursing Care but not of a level where emergency interventions were required nor was there evidence of a barrier to care provision to an extent where harm is caused. In conclusion it would be reasonable to say that X would not have demonstrated a primary health need and as such would not meet the well-manged needs criteria. The quality of interventions required are not in themselves over and above that which a local authority could legally provide with the assistance of outside organisations eg.GP, District Nurses, SALT, etc. Whilst there may be an element of nursing care in looking after X this is incidental and ancillary to the provision of accommodation which a Local Authority Social Services are under a duty to provide in line with the Care Act 2014. The determination and quantitification of the “level of need” is at the “discretion” of the Council and the NHS CCG. (See the Local Authority Care Act and the National Framework.) The DST is not suppose to be a tick-box-decision form in itself, but that is how unfortunately, it is used and manipulated. I think it is designed to bamboozle the public. The intention of the DST, (Decision Support Tool) is just that, a tool, and as such only suppose to be a guidence and reference for its practioners to gather all the “relevant” EVIDENCE specific to your case in a nationwide consistent way. Specialist as well if relevant. If the relevant evidence is not gathered and recorded the DST just becomes a tick box form to disregard you and close the case. If the L.A. and NHS CCG do not gather the correct relevant specialist evidence, they can manipulate answers on the DST form, either by not being correct or by omitting to record evidence, is my experience. If all the help & support was removed from the individual tomorrow, then that gives the real picture of the individuals needs for a Primary Needs determination for CHC funding. Your legal right. ie… if friends & family support disappeared tomorrow what would the local authority have to do and what salaried services welfare & health, would have to be legally procured to meet the “Presenting Needs” currently being met by friends & family? National Assistance Act 1948 Section 21 subsection 8 think it was? Still applies. This power of authority of quantification of “primary need” is unfortunately with the local authority when conducting a Care Act “Needs Assessment” in the FIRST instance as they are usually the first party to conduct an assessment for “presenting needs”. You should challenge all recorded written information on this document, very important you do so. Otherwise council will deem you have eligible needs for care & support to be means tested self funded Social Care only. Eligible Needs here are only Social Care Needs in Care Act not the section 22 Exception for Primary Health Needs to be NHS funded even if you remain at home. In my area there is no mechanism at all in the local authority “Needs Assessment” to quantify the level of need at all. Not one question. Thus everyone becomes self funded means tested social care in all my authorities assessments. Primary Need is only recognised if the individual is in the back of an ambulance here it seems! So it is the quantification of level of need by “Relevant Recorded Evidence” you need. Even those needs that currently friends & family are currently meeting. Keeping a diary is a good idea but what you really require is “Specialist” evidence by the specialist clinicians with correct credentials and experience to do so. As far as I can see the system is made very complex and onerous so that people at a vulnerable time of their lives have to pay for care the state should legally provide till that vulnerable individual has no money left, ie below the 23k net worth means test cap. My area Local Authority and NHS CCG did not even fundamentally understand the different separate role of the specific “Coordinator” to be separate and different person to the “Decision Makers” who are the LA together with the NHS MDT Multi Disciplinary Team members for a DST procedure to be conducted. We had no Coordinator, a Nurse Assessor was proposed to be the only NHS MDT decision maker together with the Local Authority Social Worker decision maker. We had no Coordinator gathering all the correct relevant evidence for the file, together with the “LA social workers decision makers” and the “MDT clinician specialist decision makers”. Quite astonishing. Trust has to be earned, so my advice is make anyone you deal with earn it before giving anyone your trust. My mum cannot do anything for herself. She is bed bound and has to be turned by care staff. She can only move her eyes and mouth. Speech is limited. She is doubly incontinent, has to be fed, offered fluid. She would never say she was hungry or thirsty. She has severe cognitive impairment, has had pressure sores in the past due to bad care, cannot assist in washing, changing etc. Where do you think she sits on the “managed need” argument? We have another DST soon because the first one was a complete sham. Where in the Care Act 2014 and statute does it say this about “manage Needs” etc? This is an excellent evaluation and explanation however, it is difficult to apply and follow this re the revised October 2018 Framework as the page and paragraphs references are different. Thanks. A useful summary. What constitutes routine nursing care though and when does that routine care tip over from FNC to CHC ? For example, does prescribing anti-psychotics on a routine and PRN basis, and monitoring for side effects constitute routine FNC or CHC care ?